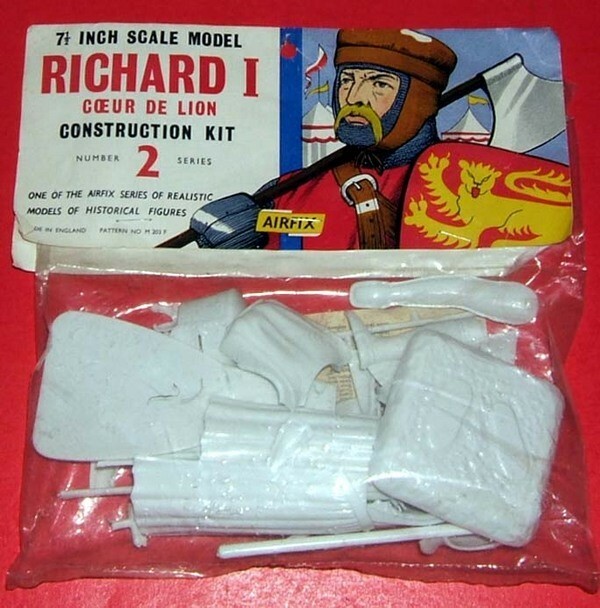 As King, Richard Coeur de Lion (Lion Heart) spent barely six months in England. Returning from a crusade, he was captured in Germany and subsequently imprisoned for two years. On release for ransom he waged war against France and was killed by an arrow while besieging the castle of Chaluz. A 37-part kit.